Austrian Airlines promotion: Non-stop flights Vienna to LAX €314, Bangkok €434 or Cape Town €479! Air Italy have just announced new route to India. After direct solution to Mumbai travelers in Italy can also enjoy new connection to New Delhi. Based on service of this carrier you can book very cheap non-stop flights from Milan to New Delhi already for €301! This is for a round trip flight including all taxes and fees. however note that this is a low-cost solution and there is no checked-in bag included in base fare. (Available to purchase separately for extra cost). At this moment this offer is also available during peak season over Christmas Holidays 2018! Hurry up as only few seats left for the cheapest price. At this moment you will find great availability throughout validity of this promotional tariff. Look for flights from January to March 2019. As mentioned this is including travel dates over Christmas Holidays or NYE! Below you will find our booking sample you can choose almost any travel date. (But you can also compare all the cheapest flights from Milan to New Delhi directly at website of Air Italy). You can book some affordable accommodation in New Delhi through Hotels.com or Booking.com. Outbound to New Delhi on Monday, Thursday or Saturday. Inbound from India on Tuesday, Friday or Sunday. 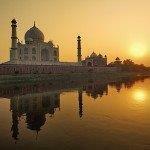 Booking sample of cheap non-stop flights from Milan to New Delhi, India from €301! As per our booking sample you would dpeart from Italy to New Delhi on 19th of January. Inbound flight from India in Asia back to Europe on 3rd of February 2019. Enjoy Air Italy promotion offering discounted non-stop flights from Italy to India also in high season.